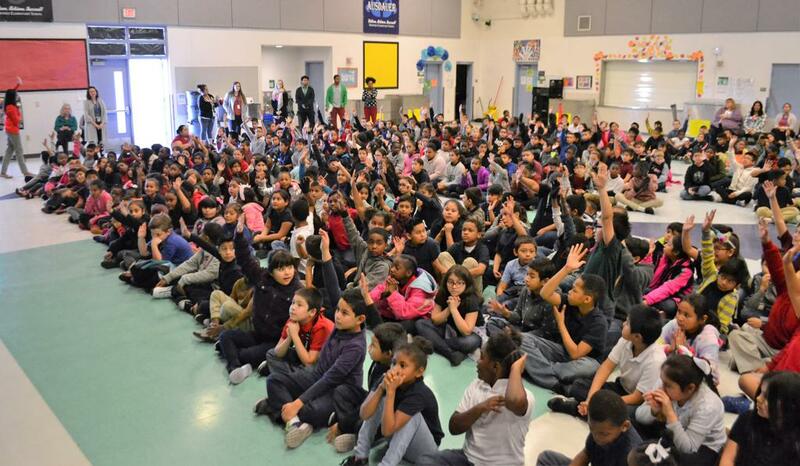 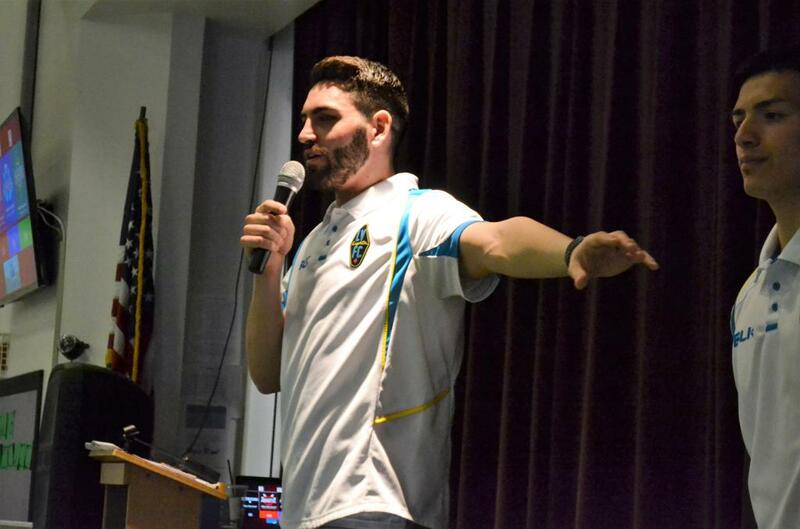 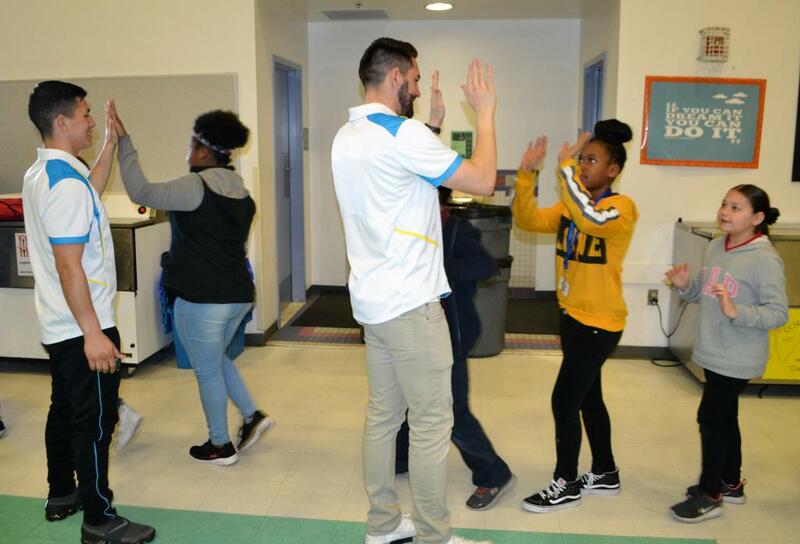 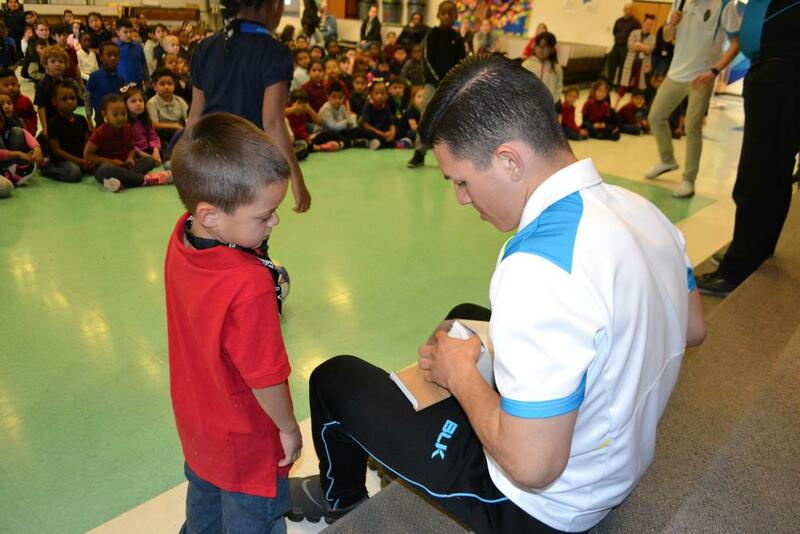 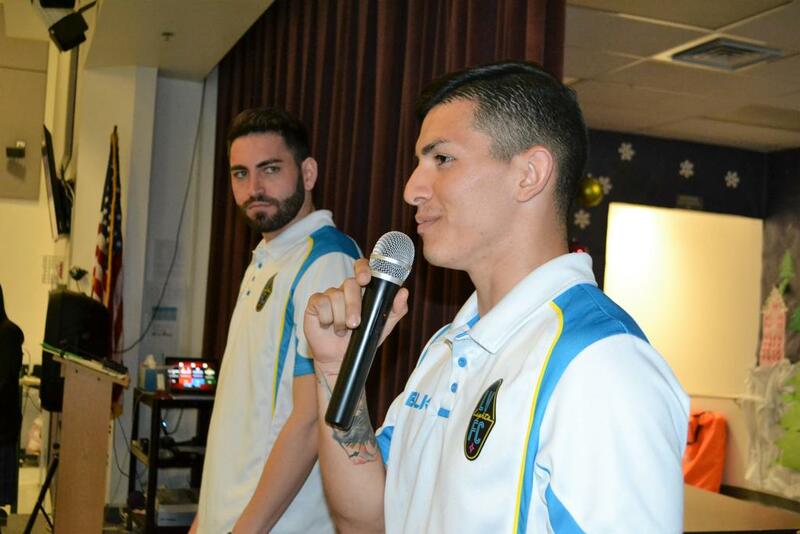 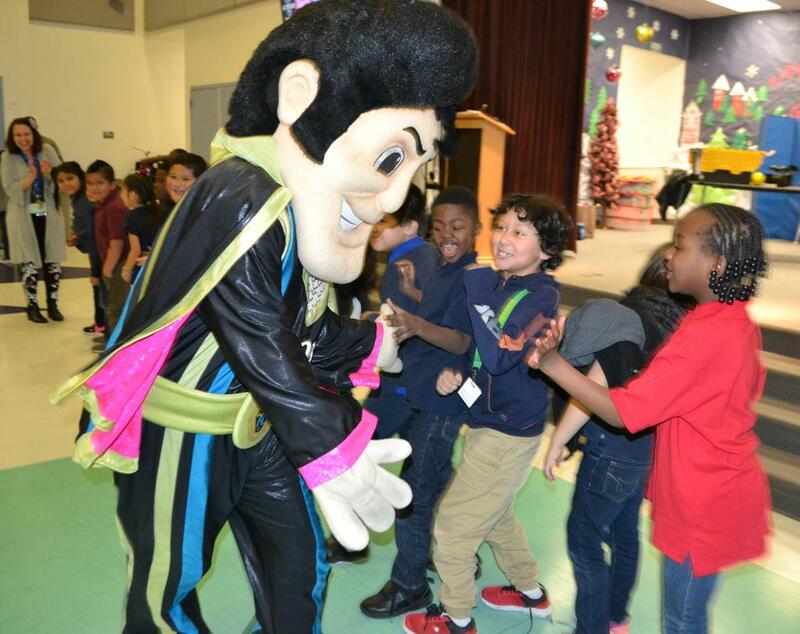 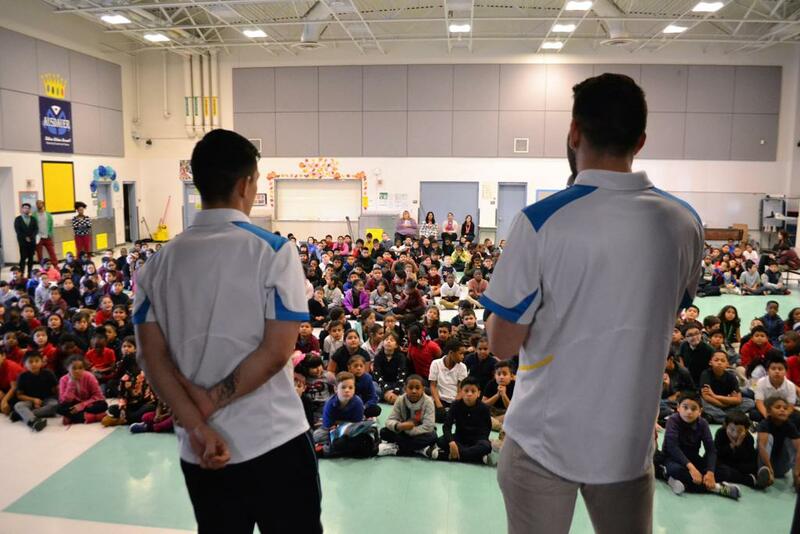 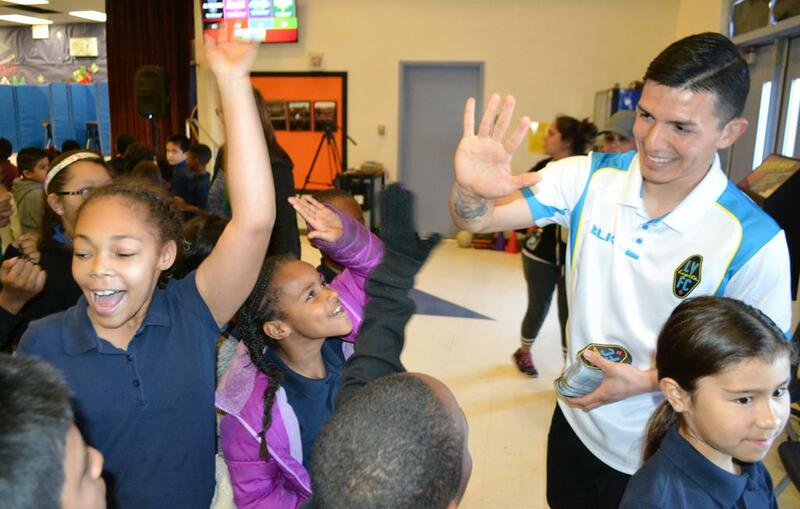 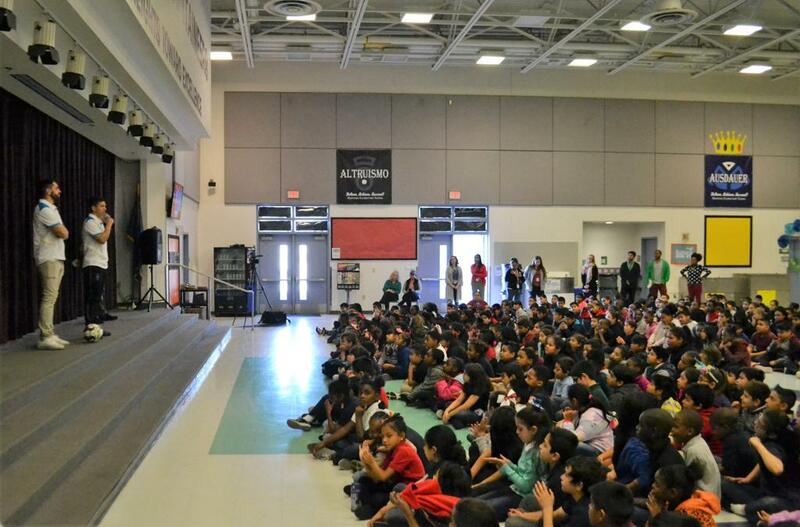 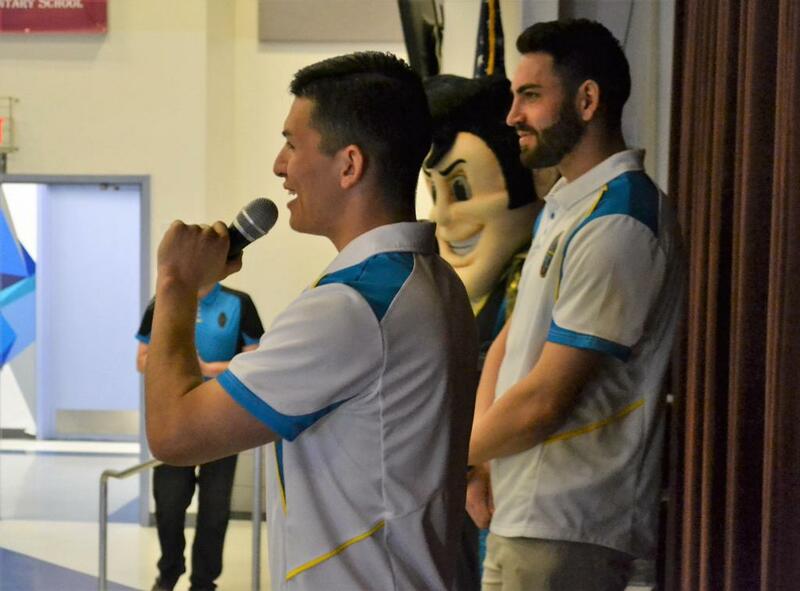 LAS VEGAS, NV.- Lights FC is continuing their commitment with the Las Vegas community and is joining forces with elementary & middle schools across the valley to reward students who reach academic objectives related to reading. 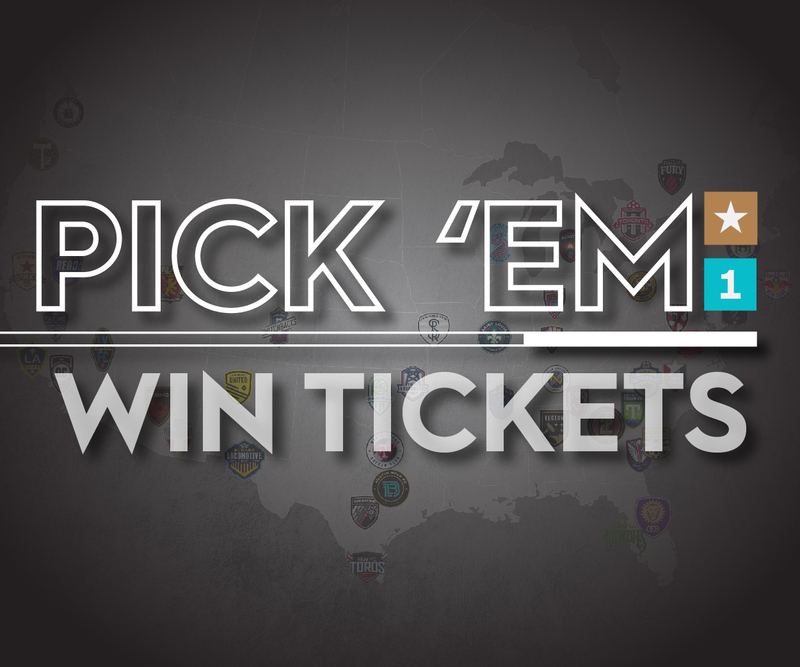 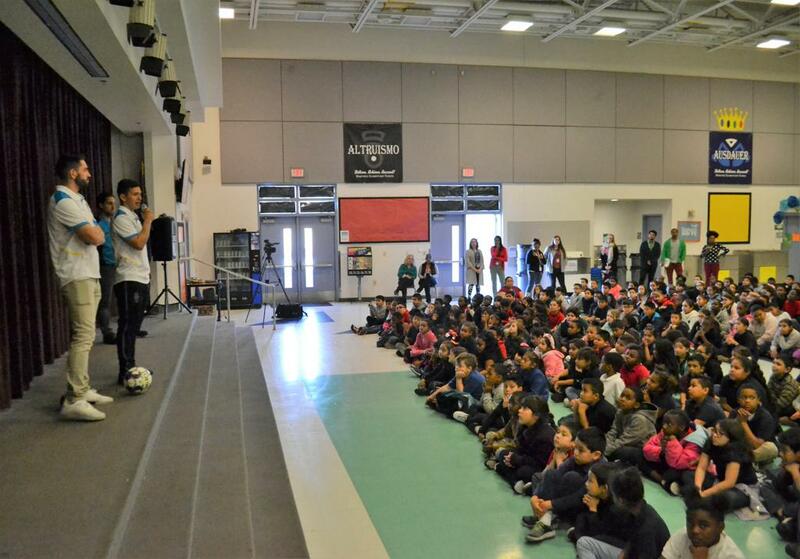 Every student that achieves their reading goal will receive a free ticket to attend a Lights FC home game. 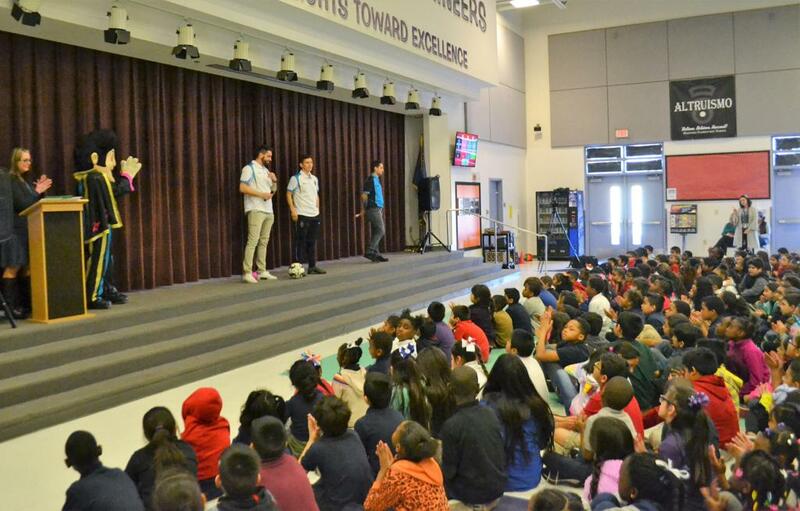 In its soft launch phase alone, over 100 schools have already signed up to be a part of this program which features Lights FC players and mascot -- ‘Cash The Soccer Rocker’ -- attending school assemblies where they speak about the importance of reading. 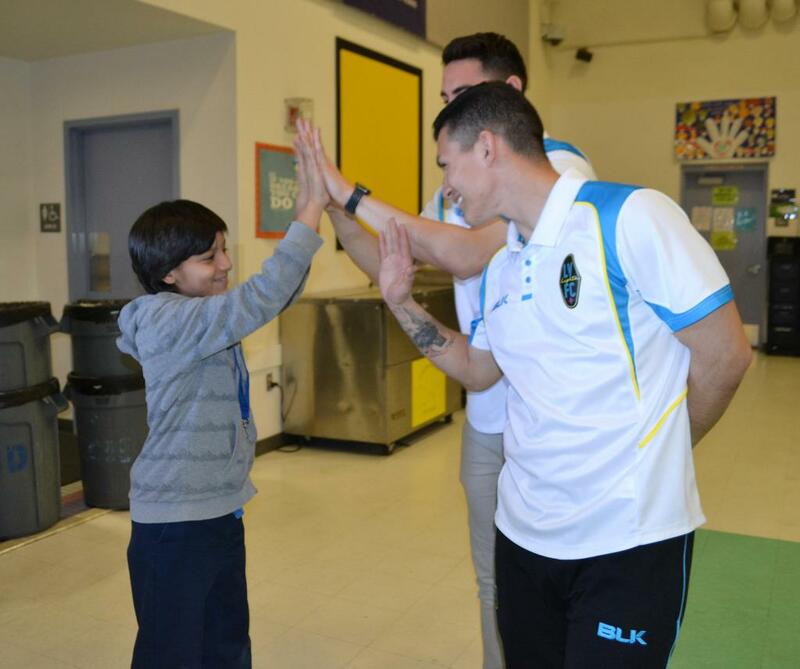 “It’s honestly one of my favorites parts of being on the team, doing these community outreach events. 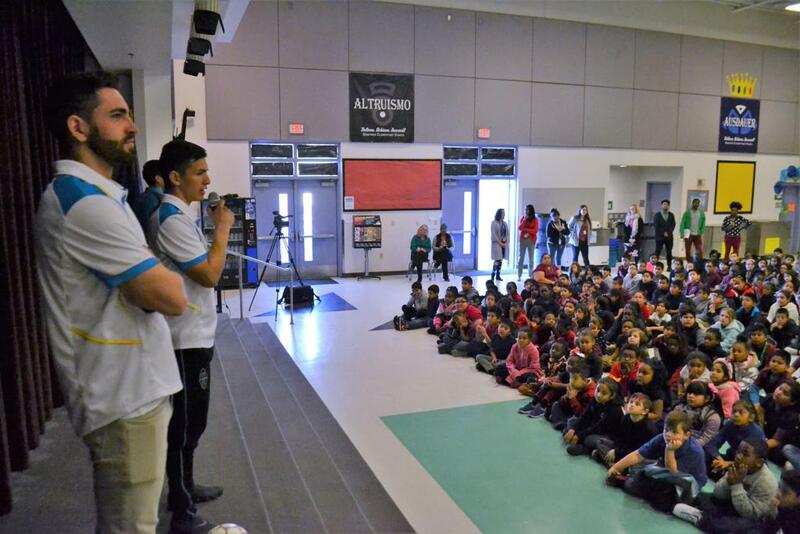 Especially at schools, because at one point we were all in their shoes.” said Lights FC Goalkeeper Thomas Olsen who grew up in Las Vegas. 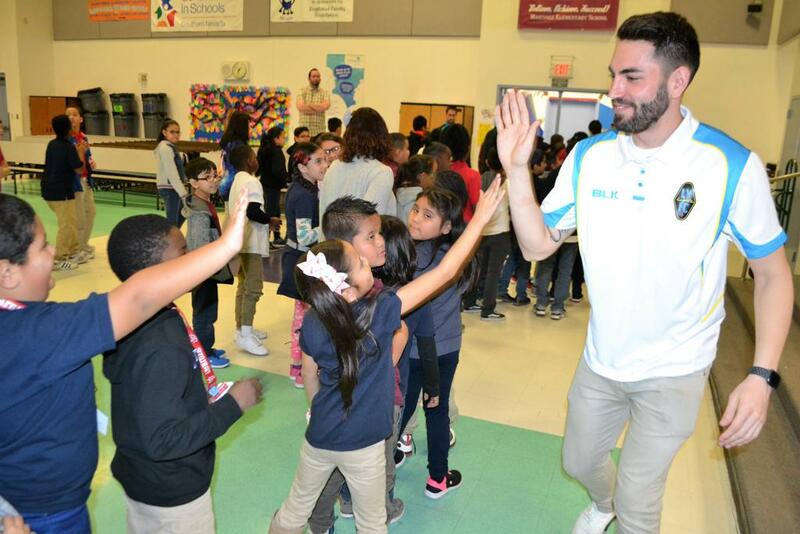 Recently, Olsen joined fellow Las Vegas native Angel Alvarez at Lights FC’s first Reading Goals event held at Reynaldo Martinez Elementary School. 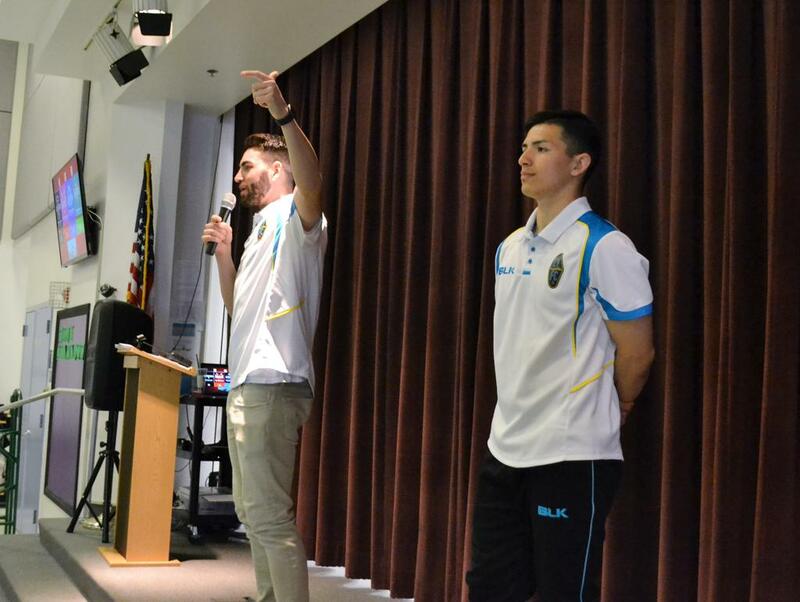 Both Las Vegas natives spoke to over 400 kids across multiple sessions, where students had the opportunity to hold a Q&A session with the players and held a soccer skill contest on stage. 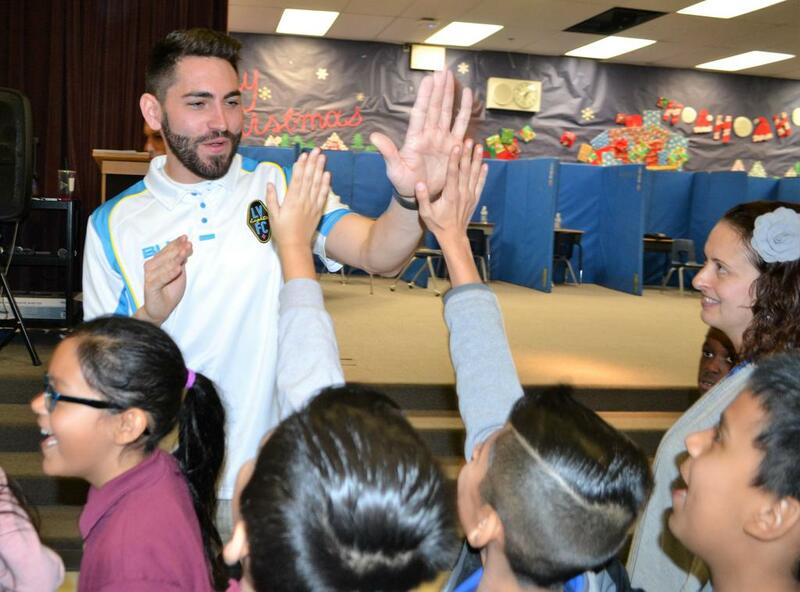 “Reading Goals is definitely a program that is going to help the youth in our community to read more, learn more and come to watch us play as a reward from reading books,” Alvarez said. 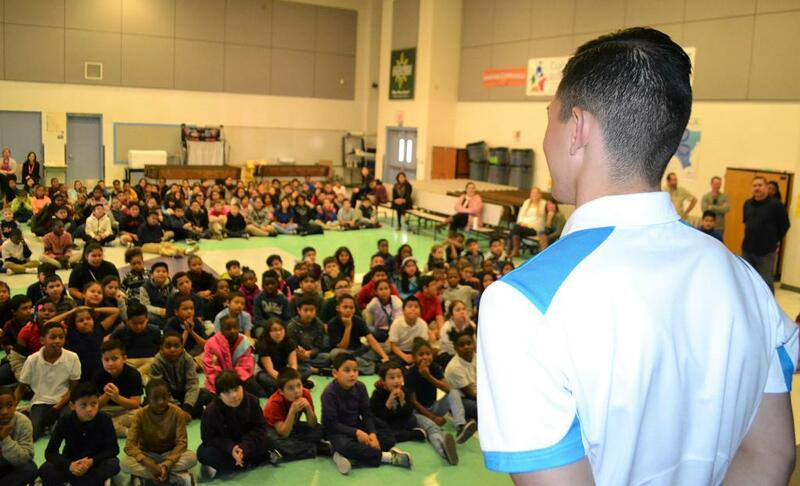 Visit LightsFC.com/ReadingGoals to learn more about how local schools in Las Vegas can sign up for the Reading Goals program or call 702-728-4625.